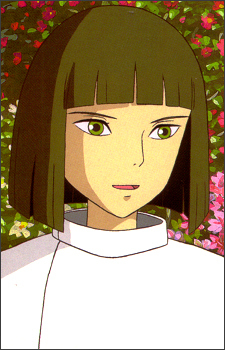 Haku is Chihiro's first friend in the strange world. He studies with the sorceress Yubaba and has magical powers. It's said he lost his way home as well as his name in the world of spirits. At the end of the movie, it is revealed that his real name is Nigihayami Kohaku Nushi (Spirit of the Kohaku River).